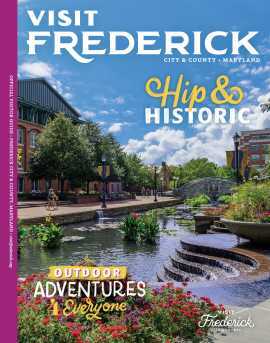 Frederick County, Maryland, is well known for its diverse architecture and rich history. Railroads played an important part in the county’s past. This bustling agricultural community had many mills and factories in the area that needed to deliver goods like flour, milk, bricks and limestone to the busy, nearby city of Baltimore. Frederick County’s railroads were built in the 1830s and are still in use today. 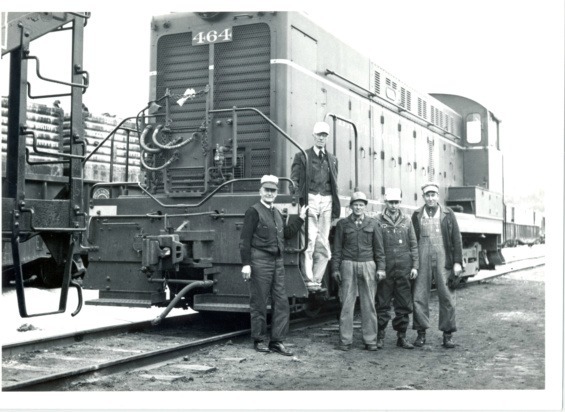 Here are five interesting facts you might not know about Frederick’s railroad history. 1. The railroads stopped running for a short time during the Civil War. In September 1862 during the American Civil War, Confederate General Robert E. Lee and his men embarked on a mission to invade Maryland. Lee was convinced that he could invade the North and cut off railroad supply lines to the Union troops. After halting the rail trains, Lee believed he would be able to recruit locals for the Confederate army since there were mixed loyalties in the border state of Maryland. He was surprised, instead, to receive hostility and apathy from residents. When the Battle of Antietam ended in a draw, Lee and his Confederates left Maryland and the trains were back in business. Learn more about the Maryland Campaign of 1862 and the first Confederate invasion of the North by following the Antietam Campaign Maryland Civil War Trail. 2. Abraham Lincoln visited Frederick County in 1862 and returned to Washington by train. Following the Maryland Campaign of 1862 and the Confederate retreat to Virginia, President Abraham Lincoln visited Frederick County. He had met with General George B. McClellan in Sharpsburg and had stopped in Frederick to visit General George Hartsuff, who had been injured during the campaign. 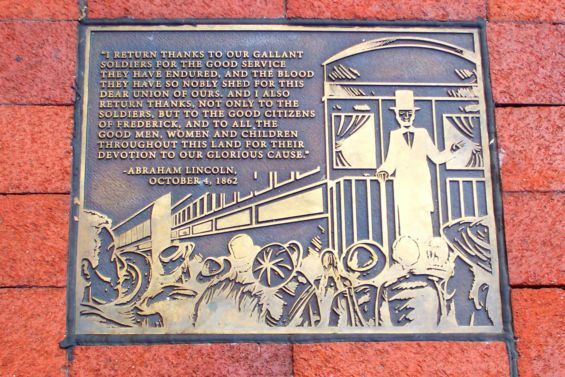 After his visit, Lincoln made his way to the B&O train station at Market and All Saints streets. He gave a few remarks before departing on the train. Today the location of this historic moment is marked as part of Frederick’s Heritage Trail Marker system. If you take a stroll through Downtown Frederick, be on the lookout for this marker (#14 on the map)! 3. The Baltimore & Ohio Railroad played an important role in the Union’s success during Jubal Early’s 1864 Invasion. The railroad, headquartered out of Baltimore, provided essential logistical support, transporting soldiers and supplies, between Washington, D.C, and Baltimore, and from Baltimore through Maryland and northern Virginia, eventually connecting with western railroads. In 1864 B&O Railroad President John W. Garrett was alarmed by threatening reports of Confederates entering the area and immediately notified President Lincoln and received no response. Desperate, Garrett took a train to Commander of Union Army, Lew Wallace who believed his words and ordered the shipments of soldier reinforcements via trains. This thwarted the attacks from the South, and Lincoln later awarded Garrett for his heroic efforts. To learn more about the 1864 Invasion and the connection to the B&O Railroad and John W. Garrett, visit Monocacy National Battlefield. 4. Living in a railroad/commuter city was financially good for residents. The town of Brunswick became a popular hub once the B&O Railroad was built in 1828. The rail transit chose Brunswick as a connecting station due to its cheap property, ideal terrain and exemption from paying taxes for operating in Maryland. Afterwards, the population gained 5,000 more people and businesses flourished. Learn more about the history of Brunswick and enjoy model trains at the Brunswick Heritage Museum. Brunswick celebrates its rich railroad history every October with the Brunswick Railroad Days festival. 5. Railroad business was hot business. A tumultuous controversy erupted regarding the small town of Point of Rocks, Maryland, when the C&O Canal and B&O Railroad wanted to extend the canal and build a rail line through the town’s narrow passage along the Eastern Shore of the Potomac River. Eventually the two reached a truce and were able to co-exist. In 1876 one of the most picturesque and most well-known historic stations of the B&O Railroad was completed at Point of Rocks. The Point of Rocks Railroad Station was placed on the National Register of Historic Places in 1973 and the Victorian Gothic style station continues to be widely photographed today. If you want to experience Frederick County’s Railroad history, climb aboard for a ride on the Walkersville Southern Railroad. You’ll enjoy a wide variety of excursion rides on 1920s vintage passenger cars, operating on track that the Pennsylvania Railroad originally built in 1872. 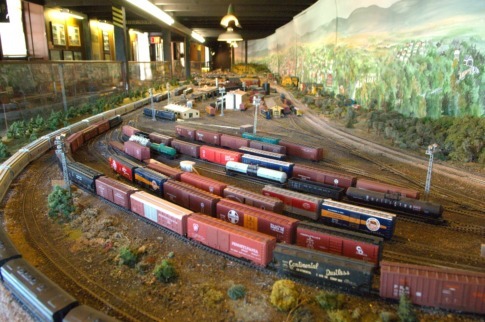 And if model trains are more your speed, be sure to visit the Roads and Rails Museum in Downtown Frederick. You&apos;ll enjoy one of the largest miniature world model train displays in the country.